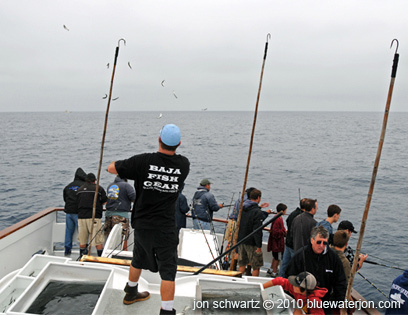 Commercial fishing vessels that harvest younger surface-swimming albacore are called "jig boats" because they fish with jigs. 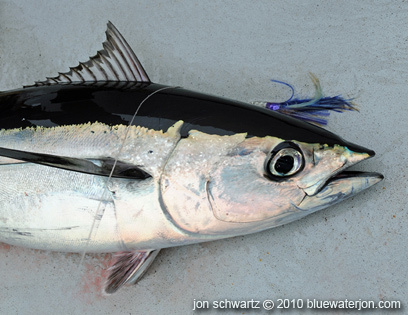 They are also called "trollers" since they "troll" for albacore. 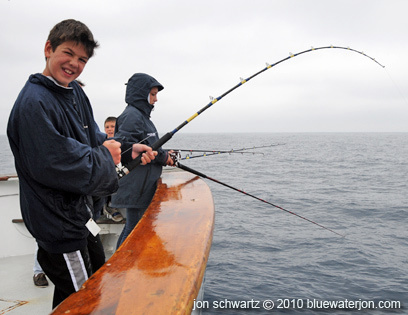 "Trolling" means to catch fish by towing a lure or baited hook behind a slow-moving boat. 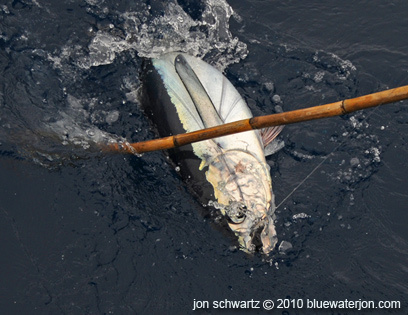 In the albacore fishery, trollers attach ten to twenty fishing lines to the vessel's outriggers. These fishing lines are of different lengths and are also spread out along each outrigger to help prevent them from getting tangled up with each other. Attached to the end of each line is a jig - that is, kind of rubbery fishing lure with a hook in it. Jigs are shaped to look like squid and come in a wide variety of colours. 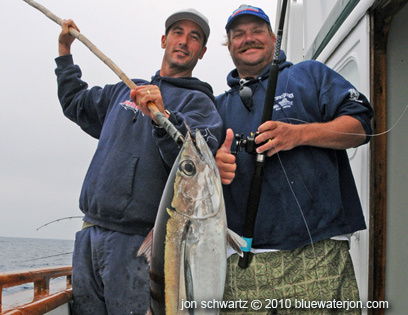 The jigs are trailed in the water behind a moving boat, and some albacore will bite a squid-like jig and get hooked. 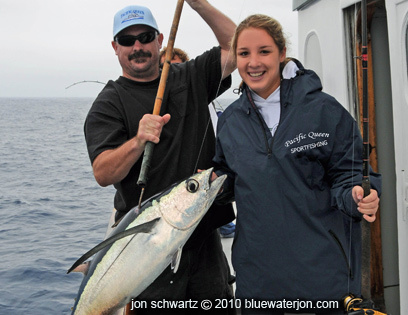 Current Albacore Tuna All Tackle Record (IGFA) 88 lbs. 2 ounces.